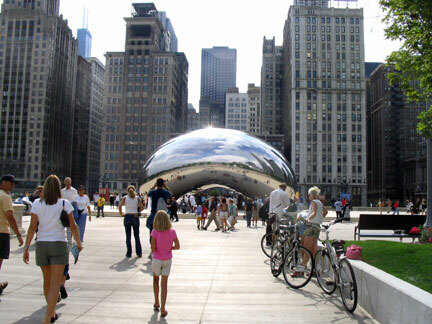 The official name for Anish Kapoor's new 110-ton stainless steel sculpture in Chicago's Millennium Park is Cloud Gate, but that name is already being supplanted by references to "The Bean" - Chicagoan's fond nickname referring to the work's unique shape. 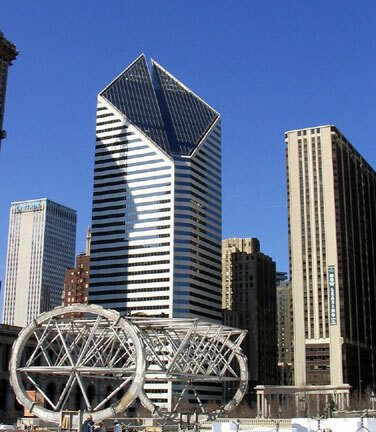 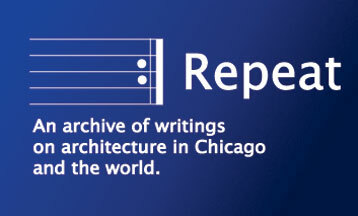 Originally intended to be assembled offsite and shipped to Chicago in finished form, this soon proved impracticable, and residents were able to actually watch the progress of the work's fabrication. 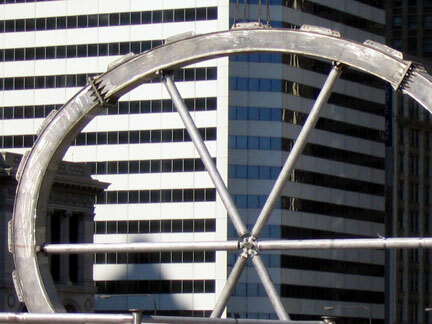 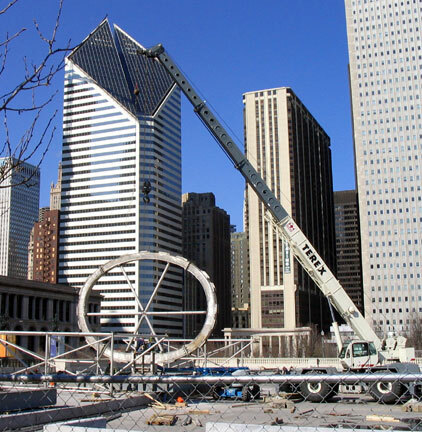 March, 2004 - the first piece of the structure for Anish Kapoor's Cloud Gate sculpture is put into place in Chicago's Millennium Park. 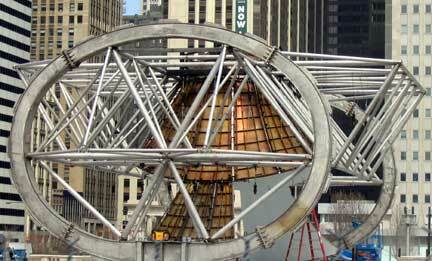 April, 2004 - The structure for the tent in which construction will be completed rises. 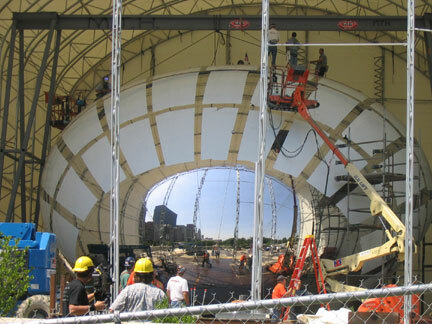 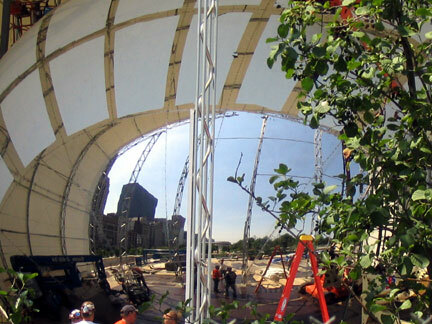 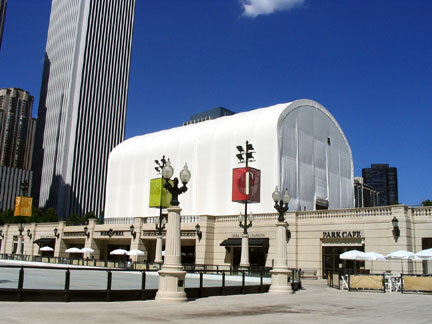 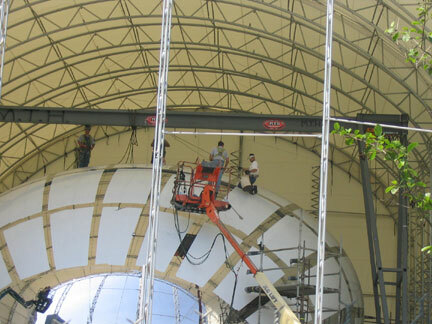 June, 2004 - the tent completed, work on Anish Kapoor's Cloud Gate sculpture is shielded from public view. 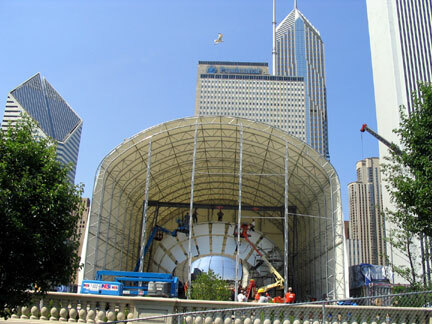 July, 2004 - one end of the tent is opened up to provide ventilation in the increasing heat, again allowing the public to view the project's progress. 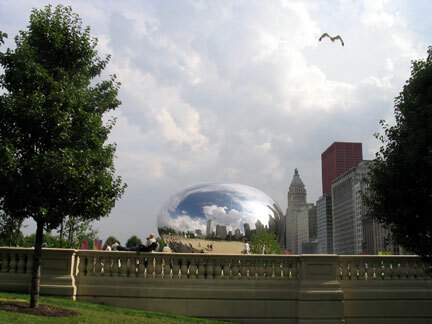 Anish Kapoor's Cloud Gate sculpture is made up of over 100 highly-reflective stainless steel panels, each in a different unique shape. 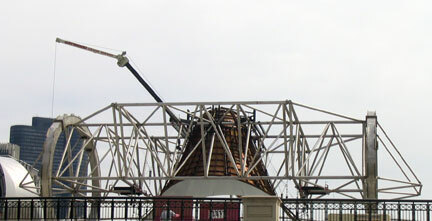 Opening Day - July 16th, 2004 - the bean revealed. 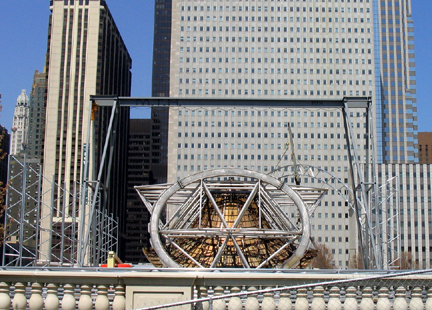 Anish Kapoor's Cloud Gate sculpture with Michigan Avenue to the right.